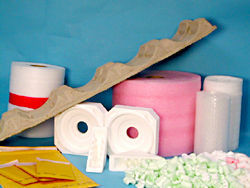 PCI is a master distributor for a complete line of protective packaging products. We offer a wide range of environmentally friendly protective products which are CFC free and a blend of recycled plastics. Available in four sizes (1/8, 3/10, 5/10, 1/2), antistatic, economy, heavy duty, or barrier types. 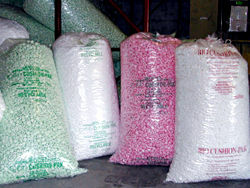 Bubble is available in rolls or as converted products. Available in polythylene or polypropylene from 1/32 - 1/2 thickness. 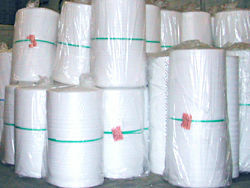 Also available in a variety of width rolls or as converted products. 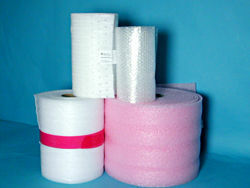 These are bubble or foam-lined, padded or paper from 000 - 7 sizes. Also available in printed form. Available in "e" shape, white/green colors, antistat or biodegradable, 100% recycled, and CFC free. These are convenient products for small volume packaging applications. 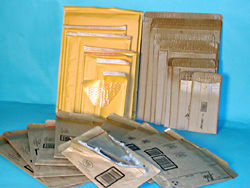 A cost-effective solution available custom-designed or stock, 100% recycled paper, and biodegradable. 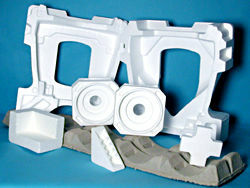 Custom molded products includes recycled foams and prototypes, with stock corners/protectors available. 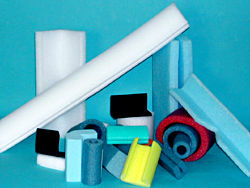 These are special or preformed foam protectors. Stock sizes or custom configurations available. A variety of densities and colors available as well.